Do you need more space for your growing family? Perhaps your home is in need of a makeover? Well, Allan Corfield Architects can help. It’s easier and more cost effective than you may think to extend or convert your garage or attic into a more habitable space. Now might be just the right time to consider a house extension. 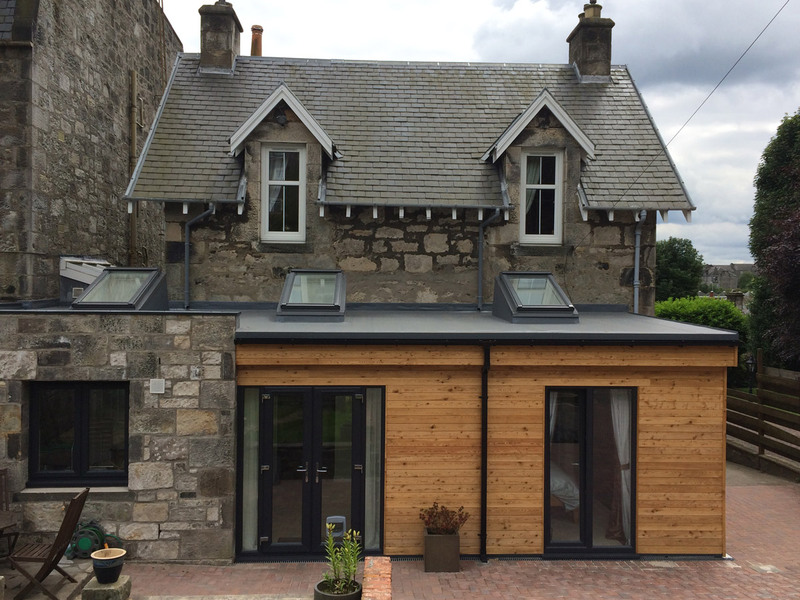 ACA have completed numerous house extensions, mainly in the Central belt of Scotland – from Fife to Perth & Kinross, and from Edinburgh to the Scottish Borders. 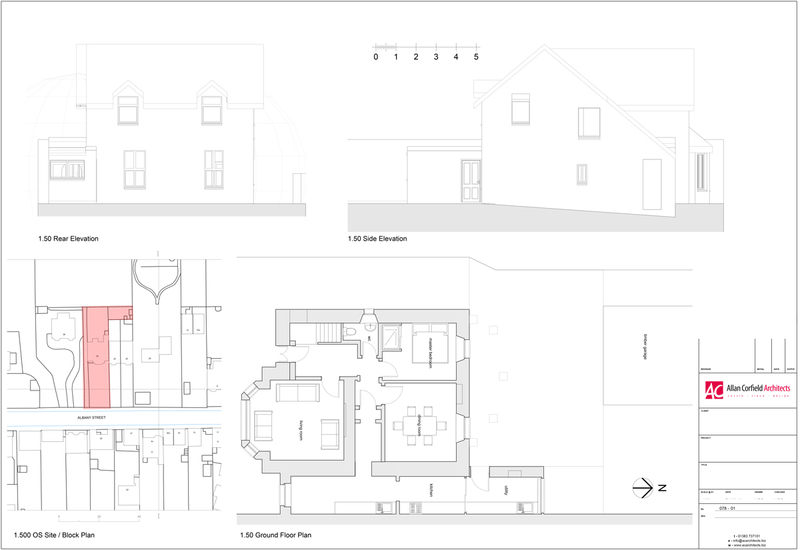 With the Government’s Permitted Development rights, you may not need Full Planning Permission for a house extension – this route makes it less expensive and time-consuming than you may think! Over the last 6 years ACA have tailored the required house extension service to help the average homeowner get the necessary approvals in place – as well as assistance in appointing a trusted local contractor. 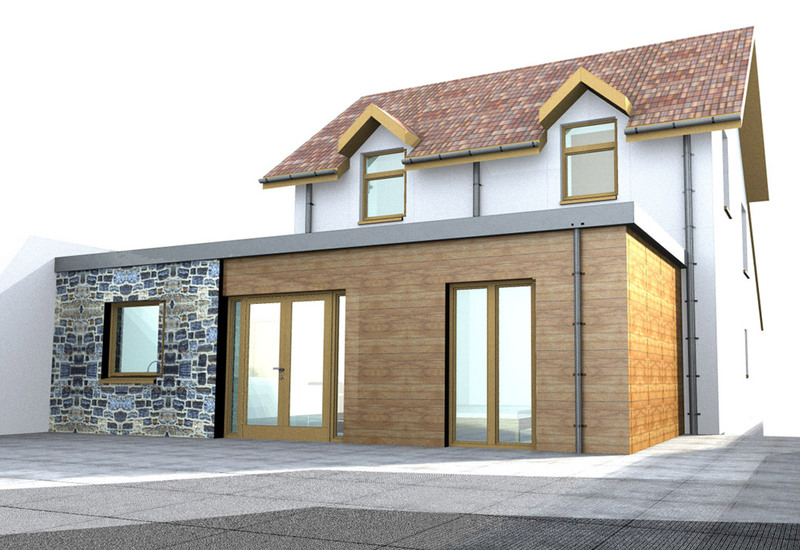 When ACA provide a Fee Proposal for a house extension, we will split the required services up into logical stages. These have a fixed cost and an advised timescale. The RIBA suggest that an average fee for this type of project would equate to between 9-12% of the overall Construction Cost. At ACA, we believe our clients should know all of the main facts and costs before committing to a project, so we work on a fixed cost rather than a percentage – that way our fee isn’t determined by how expensive your build is! Note – Full Planning Approval process will take a minimum of 8 weeks, Certificate of Lawfulness application (under permitted development) will take a minimum of 4 weeks. If required ACA can also assist with on-site supervision, and checking of the local contractor’s work. 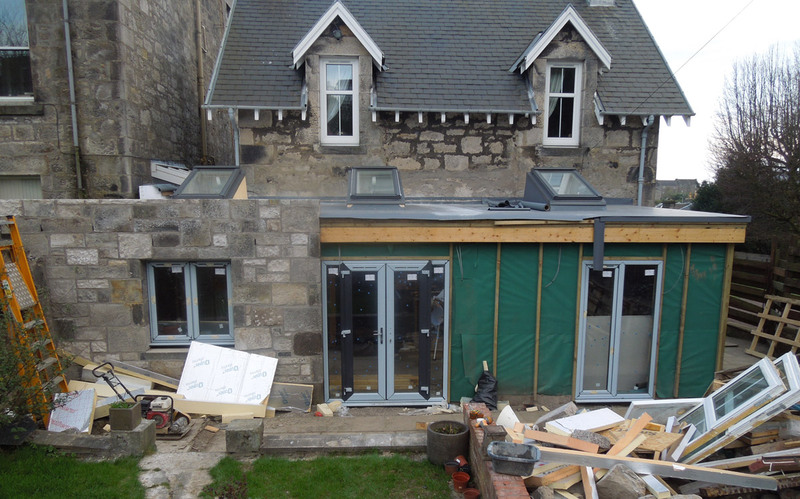 However, we would hope that the contractor chosen would not need any assistance during the house extension construction – due to the quality of the information provided and the suitability of the contractor. If your project is contentious or doesn’t comply with Permitted Development it may be worthwhile getting pre-application planning advice. Some planning departments will discuss the proposals over the phone, but due to workload most of the Councils now require a formal application. 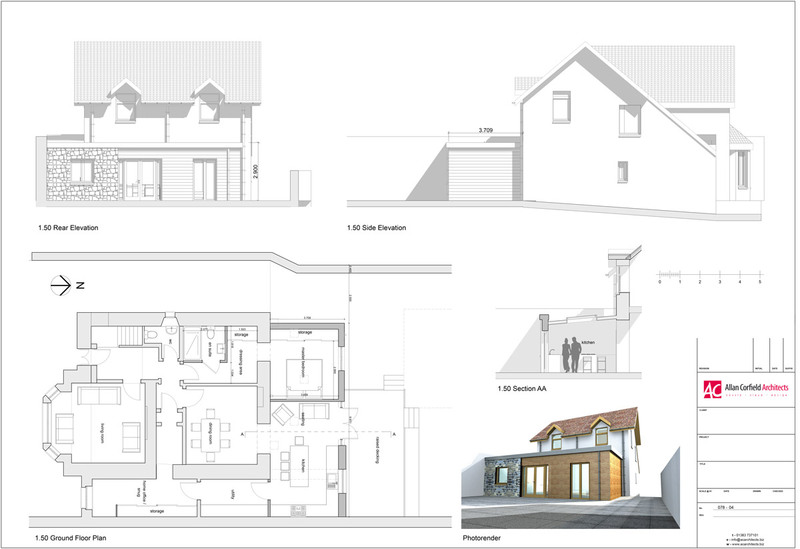 A Pre-Application enquiry is a cost effective route which will give you a formal response from the planning team. The process usually takes 21 days and shouldn’t cost any more than £160. You will need an Engineer on most house extension or conversion projects for the Building Warrant Stage. The engineer will access the existing home and ground condition, before designing the foundations and the super-structure for the house extension. They will also provide any calculations required in order to satisfy the building warrant application. 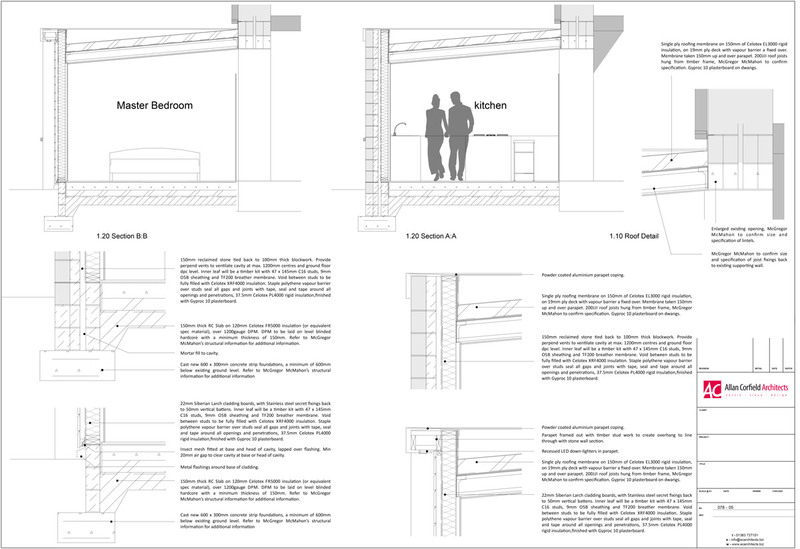 A local Structural Engineer’s costs for a single storey house extension should be approx. £600 to £800 (ex VAT). Note – Application costs and other consultant fees are excluded and paid direct by client.